Christmas season conveys a warm, friendly time when kindness and human connections trump profit and corporate greed. But somehow, I don’t believe that Vertica Resident Services (and the corporate heads and shareholders behind this company, BCIMC Realty Corporation) believe in such traits. So, against all odds, reason, and even against the Human Rights Comission code, Vertica Resident Services has proceeded with eviction proceedings against my frail, Alzheimer-suffering, deaf mother. She is 70 years old, deaf, suffering from dementia hallucinations, Alzheimer’s and macular degeneration (she’s going blind). 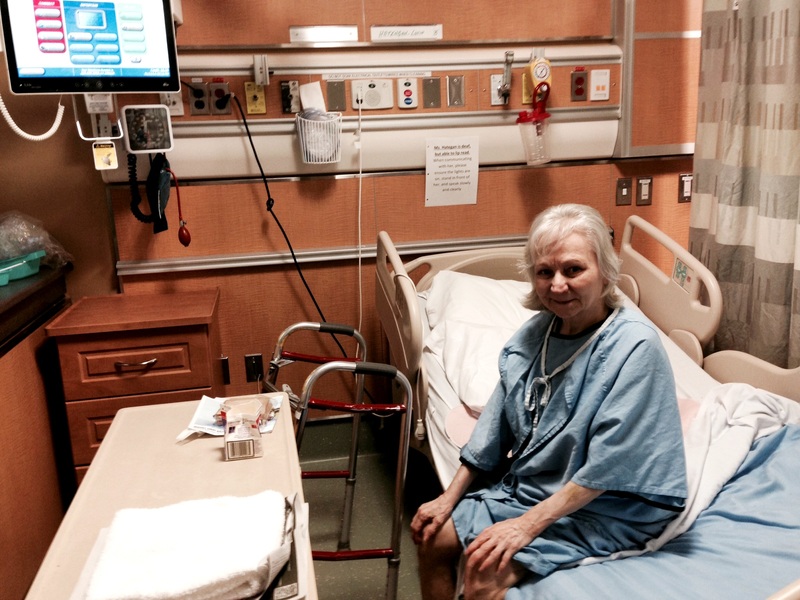 For the last month and a half, she has been living on the 10th floor of Mount Sinai Hospital. 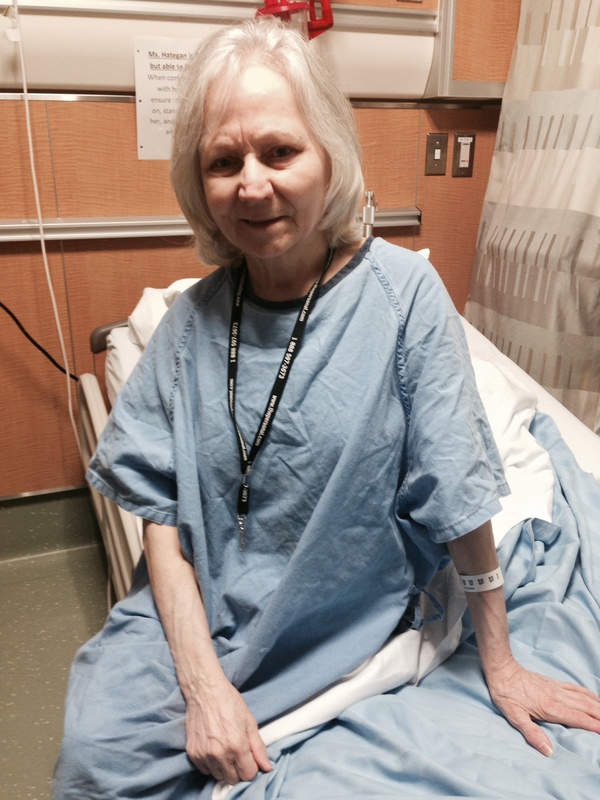 Although the Toronto Housing Commission has been paying the bulk of her rent for at least 15 years, and she has never been late on her rent with one exception, something terrible happened: last November my mother fell and broke her leg while walking on the street. She has been in hospital for the last two months, suffering from dementia-related hallucinations and a broken limb. I ensured that her rent was paid in full in the meanwhile – in fact, even December’s rent cheque cleared with no problems. AND I sent them the full payment owing, PLUS January’s payment well before it was due. Everything was in order – or so I thought. And then I discovered, while examining the contents of my mother’s purse, that Vertica Resident Services was going to court to get her evicted. Which, incidentally, is against the Human Rights Code of Ontario and grounds for a discrimination complaint with the Human Rights Commission. So basically, because someone at Vertica went on Maternity leave, and Amir Parekh didn’t bother to ask Toronto Housing Authority for my mother’s next-of-kin info, somehow my mother is at fault? And then the punch line – Ms. Escobar indicated to me, both in writing and in her rather unsympathetic voicemail, that she would NOT process the rent cheques she was given. Uh, not unless we paid $2000 for Vertica’s legal fees (i.e. when Ms. Escobar jumped the gun and skipped due process by initiating eviction papers). Newsflash, Vertica Management – this is ILLEGAL. Oh, and you might want to read up on your Ontario Human Rights Code, because evicting someone who is in hospital over a SINGLE bounced cheque – and refusing any attempts to process the payment for the rent in arrears – is also illegal. It’s called DISCRIMINATION. You may want to read up on it – it’s on page 85-86 of the Human Rights Commission’s Policy on Human Rights and Rental Housing. So instead of celebrating the holidays surrounded by friends and joyful cheer, I will be spending the last week of December preparing to file an official complaint with the Human Rights Commission. So Vertica, in case you’re reading this right now and you didn’t read up on your basic tenant human rights, it is actually illegal for a landlord to evict someone who has been languishing in the hospital. Of course, that didn’t stop Vertica Resident Services from instigating eviction proceedings. And it didn’t stop its manager at 57 Charles St apartments, Indira Escobar, from refusing to accept my cheques for the full amount due. YES – you read that right: Vertica Resident Services is dead-set on putting my mother on the street in the middle of winter. It’s mind-boggling that the building manager at 57 Charles Street would rather REFUSE full payment of rent just to evict my ill, hospitalized mother. If that doesn’t demonstrate a clear instance of mens rea (I’ll let their legal team explain the concept to Vertica and their questionable management group), then what does? It seems rather fraudulent to me that Vertica has taken all subsidized payments from Toronto Housing Authority up until today, plus kept processing my mother’s rent cheques all the way through December, but suddenly decides to STOP ACCEPTING January’s rent cheque because they’d rather evict than accept rental payment. Newsflash again, Vertica Management Services – you do NOT get to “discuss” or “determine” if my mother is able to live alone after her hospital discharge. You are not a geriatric expert, are you? I didn’t think so. Nor can you get away with such blatant violation of a vulnerable senior citizen’s basic human rights. The Ontario Human Rights Commission’s own guide clearly delineates that wrongful eviction due to hospitalization is grounds for a discrimination suit. But maybe Vertica isn’t counting on people actually reading up on their human rights, or contacting lawyers for legal advice. Simply put, Vertica doesn’t care. Why should it? As soon as they get my frail, 90lbs mother evicted, they’ll get to raise the rent for a bachelor apartment in downtown Toronto to $2000+. Corporate profit triumphs once again over human rights. As soon as the Human Rights Commission offices open in January, I will be filing an official complaint against Vertica Resident Services. And I know I will win. Hopefully the additional thousands of dollars spent by Vertica paying lawyers and Human Rights Commission fines will be worth Ms. Escobar’s refusal to process a $458 cheque. And hopefully these fines and bad karma will teach Vertica a thing or two about Canadian Human Rights and more importantly, kindness and understanding. But that’s little comfort for spending the rest of the holidays full of stress and worry about a parent who is slowly slipping away, and nobody seems to give a damn. UPDATE: It was not until I contacted BCIMC Realty Corporation and used several social media platforms to expose the incompetency of Vertica’s manager and the injustice of what was going on in my mother’s case that we got results. It’s a shame that BCIMC had to be sent this message, considering they hired Vertica Resident Services in good faith to manage several buildings throughout Ontario. And it would be a shame that Vertica might lose their contract with BCIMC if enough of these sort of complaints reach corporate headquarters. However, since Vertica hires managers who don’t open their clients files to see their rents have indeed been paid up until December and would rather use extortion and bullying tactics to get their lawyers’ fees paid instead of admit to an error, this is a consequence that Vertica may have to learn in order to manage their hiring practices better in the future. At the very least, they avoided a major lawsuit through the Human Rights Tribunal – something they may yet have to deal with in the future if they do not keep a close eye on the strong-handed tactics of their Ms. Escobar. I truly appreciated that Vertica’s Director of Operations did eventually telephone me on Friday afternoon and was actually humane and sympathetic, something that I never expected from them after the way Ms. Escobar had treated me and my mother. I accepted their apology and the fact that apparently they DO want my mother as a tenant in their building. Having said all this, I will wait until the cheque clears out of my mother’s account and I double-check that her possessions haven’t been thrown onto the street before I consider this matter closed. This is my mother, Lucia. She is currently residing on the tenth floor of your hospital, but if you get your way she won’t be there for much longer. She has been deaf all her life, is only 70 years old and suffers from diabetes, stroke damage and, worst of all, early onset Alzheimer’s disease. In the past few years, she’s had several falls which resulted in a broken hip, a sprained wrist, and scores of bruises. Two weeks ago, she fell somewhere on the street (I don’t know what exactly happened since she has no memory of the incident) and ended up being admitted to your Mount Sinai hospital in downtown Toronto. I spent the week after her admission trying desperately to get a hold of my mother’s newest CCAC coordinator, who apparently went on an extended holiday. This is the third coordinator my mother has been assigned to in under a year, by the way. I don’t even think the woman remembers my mother without looking up her case file. CCAC stands for Community Care Access Centre – these are the folks who get to file the applications for people waiting for long-term care homes. They decide when someone is in crisis, and when someone can safely remain in their residence for sometimes years on end, while waiting for a bed to open up. More than ten days passed and nobody at CCAC bothered to phone me back. As I waited, I did my best to delay responding to the frantic calls of the in-house Mount Sinai social worker, who kept leaving me voice mails indicating they wanted to discharge my mother. Eventually I had no choice but to call Alana back and arrange for a conference call to discuss “transition” plans. I spent the weekend before the conference call educating myself on my mother’s rights: a huge learning curve. Over the last year, she had already been on a list for nursing homes – at the top of her list is the Bob Rumball LTR Home for the Deaf – located in Barrie, ON and the only home in Canada specially-designed for the needs of deaf seniors. According to the Long-Term Care Homes Act, an Ontario resident has the right to go to the nursing home of their choice, not the first available bed that opens up. And, as a deaf pensioner, before her mind became clouded with disease and confusion, my mother had tearfully insisted she go to the one place she felt she would be understood – among people who were just like her, who she could communicate with in sign language. As a Romanian-born deaf person, my mother cannot adequately communicate in English with anybody – thus being locked inside yet another cage of disability and inadequacy. Worse yet, her eyesight is now failing. The wait time for the Bob Rumball Centre has been quoted as anywhere from four months to two years. The wait depends on who is deemed to be in crisis and who lucks out with a more hands-on CCAC coordinator. Of course, in order to prevent discrimination the Rumball Centre also takes in hearing people from the community, and thus my deaf mother is likely lower on the list for the only Deaf seniors home in Canada than someone higher on the list who happens to be hearing. As her power of attorney representative, I owe it to her to ensure that her needs and wishes are met. For someone who worked for the CIBC for over twenty years and received no pension, she has been left penniless and dependent on approx. $650 a month to survive. She cannot afford an expensive retirement home or a private room. And as a writer, I am dependent on contracts and all-too-meagre royalties. I have no extra income to subsidize her care, and I shouldn’t have to – in Canada, seniors are supposed to be cared for by the medical profession. But clearly, the Mount Sinai staff were more eager to clear out a pesky bed-blocker than ensure that my mother won’t starve to death in her tiny apartment. But I was prepared to be pressured – reading this Toronto Star article on hospital tactics to clear out seniors in need was eye-opening and prepared me for what was to come. Really? Did a team of medics actually assess my mother and found her capable of being on her own? I seriously doubted the in-hospital social worker – whose job is to clear bed-blockers and send people like my mother onto other pastures – had even laid eyes on her. What made her statement even more hypocritical was the fact that I had visited the hospital a day earlier and spoke with a nurse who expressed her concern about my mother being able to live independently. “But she does use the walker to get to the toilet,” she tried to reassure me. Because that’s what counts, the fact that my mother, for the most part, can make it to the toilet. Sure, she might be unable to feed herself, wash herself, shop for groceries, manage her rent and any kind of bills, but when she starves to death in her apartment at least she’ll have a clean diaper. My mother might be considered “medically-stable” for discharge, but mentally she is anything but. In a perfect world, her CCAC coordinator would reassess her immediately and deem her to be in “crisis”. Following this, she would receive daily visits from a home care provider until a bed opened up in her nursing home of choice. However, in a perfect world, her CCAC coordinator wouldn’t have gone on vacation for over two weeks and left nobody in charge of my mother’s file. In a perfect world, someone with broken limbs, deafness, failing eyesight and paranoia (someone who doesn’t open the door to “strangers”) wouldn’t be expected to live independently. And ultimately, in a perfect world, my mother wouldn’t have Alzheimer’s and dementia. – her last CCAC coordinator had tried to arrange for daily visits, but my mother – being paranoid and suffering from hallucinations – refused to open the door and allow people inside her apartment. – she forgets to take her medications, which as a diabetic places her life in jeopardy. – with a broken leg and being too frail to use crutches, she cannot go grocery shopping or prepare meals for herself. The last time she cooked potatoes, she ended up with a nasty burn that left a scar on her arm. – she insists on still cooking on the stovetop, which places everyone in her building in jeopardy in the event she forgets to turn off the burner. She cannot figure out how to use a microwave or a kettle, and the stove is the only way she remembers to warm her food. This isn’t the way things should be. If a hospital stay costs the health care system $1000 per day, why not allow those who cannot afford expensive private rooms in nursing homes the option of taking those empty rooms? There are rooms that stay empty in every nursing home because they are designated as above the “Basic” guarantee fee the Ontario government is willing to pay for each senior. These private or semi-private rooms – which cost in the range of $2000-$3000 per month – would still be far cheaper than keeping a senior in the hospital for months on end. But my mother doesn’t have that kind of money, and neither do I.
I shouldn’t have to hire a lawyer – especially since I can’t afford it. But hopefully through a service like that provided by the Advocacy Centre for the Elderly, I might be able to get some free legal advice on how to proceed from here. I shouldn’t have to walk into my mother’s apartment next month and see her fallen on the floor with another broken hip or leg. Or find her starved to death because she cannot feed herself and often chokes. But it appears that, come hell or high water, both the CCAC and Mount Sinai professionals are determined to send her home. I suspect that my story isn’t that unique from what thousands of other families all over Canada experience every year. Still, the feelings of utter frustration that I have experienced this month from the medical establishment has left me shaken and profoundly angry. I once believed the highly-touted Canadian health care system placed humans first and profit second. I no longer hold any faith in this being true. Mount Sinai might serve great kosher food (my mother sends her thanks), but the way they handle the frail and elderly is anything but kosher.